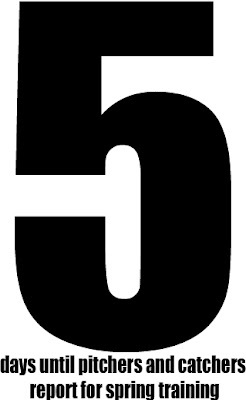 Now the number is five. Five more days until Feb. 17. Five more days until the Yankees begin molding another championship team. Five more days until the Joba/Hughes debate gets hotter than ever. Five more days until we see Kei Igawa. Five more days until Yankee pitchers and catchers report to spring training.